Join Chef Jacquie for an afternoon in South Philly's Iconic Italian Market and enjoy a traditional Italian-American Sunday Supper! IS it Gravy or Sauce? - We'll meet at a world-famous cheese shop with luscious samples-think imported cheeses, prosciutto and buttery olives- in the iconic South Philly Italian Market. 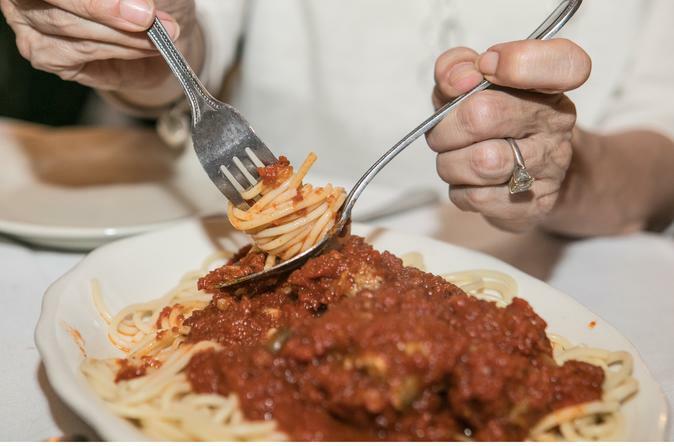 - You'll enjoy a traditional Italian-American Sunday supper with a plate piled high of perfectly cooked al dente spaghetti with Gravy and the best beef short rib braciole! BYOB! - Finally, you'll experience la dolce vita first hand with a classic espresso made by the best barista at this local coffee shop!